« Logitech Z323 Review, A Speaker System That’s Worth Picking Up? 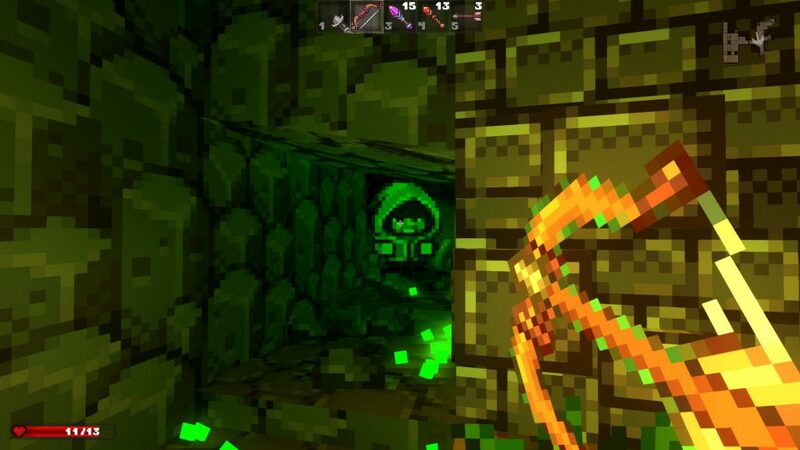 Delver is all about delving deep into some dungeons, grabbing what is called the Yithidian orb and escaping all in one go. If you die, you will respawn as another delver with some of the gold from the last crawl. 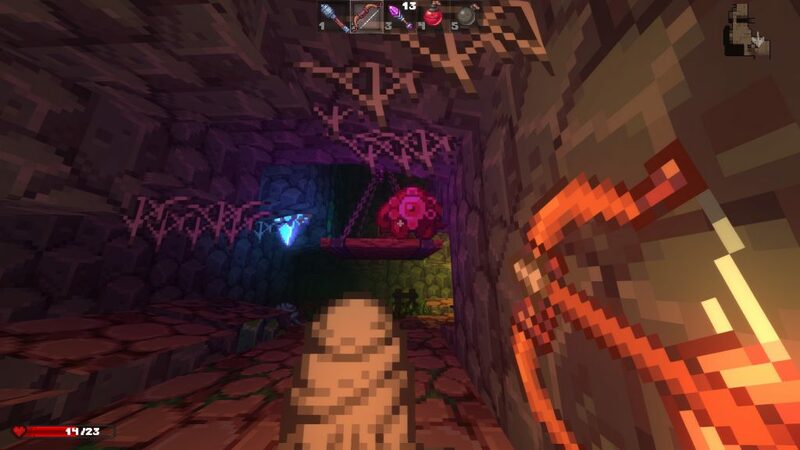 At first glance I though Delver would play like some classic titles such as Doom. Looking only left and right, aiming would be automatic and you’d just try to survive. That wasn’t the case, you can look up and down and all around just as you would in any FPS. It has that classic style and feel but with a few modern twists into the mix to keep things interesting as you continue delving deeper and dying as you try to reach the Yithidian orb. 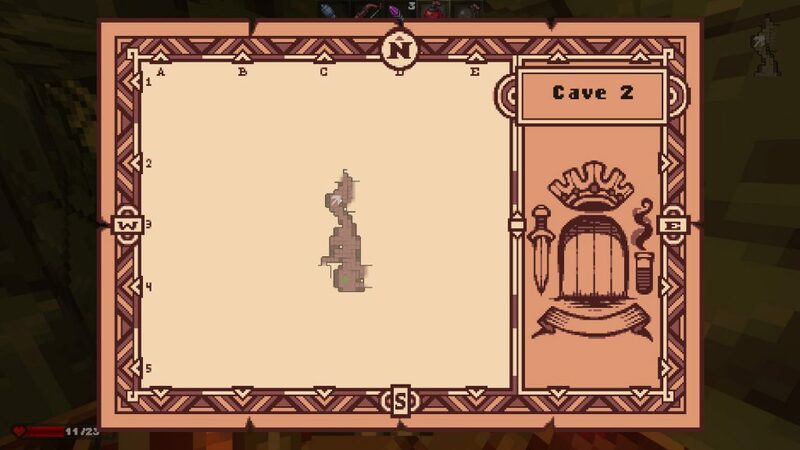 I still have yet to reach the orb which from my understanding is at the end of each procedurally generated dungeon. 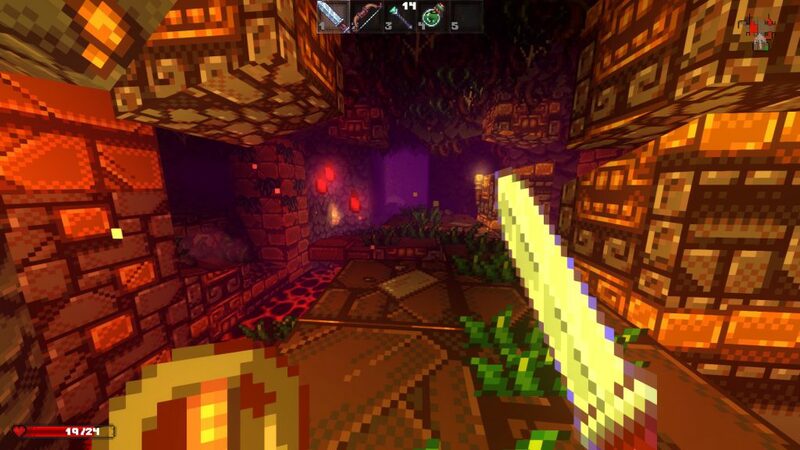 There are different levels of the dungeon that have different environments, enemies and loot to go with. Combat isn’t as easy as randomly swinging your sword, you actually need to time your attacks right. If you don’t you risk getting hurt from enemies and possibly getting negative status effects such as poison which can easily bring you down if you’re not careful. Some enemies can poison you, some attack with magic from afar and some just walk right up and start trying to stab you. There’s variety in the enemy types which I’ve enjoyed seeing. You can charge your attacks and release when the time is right, each weapon type has a different way of being used. You figure out what works best for you against certain enemies and change it up when you need to. Daggers are faster, yet the range is shorter than that of a sword. But using a heavier weapon also means that you’re going to be swinging more slowly. Once you understand how each enemy type works, what range they attack you from and how many shots it takes then you can get through a bit easier. But enemies level with you and as the dungeons change, so do the enemies. Each run through you’ll learn more about what type of equipment to use, how certain types of enemies behave and how each dungeon is sort of going to be like. 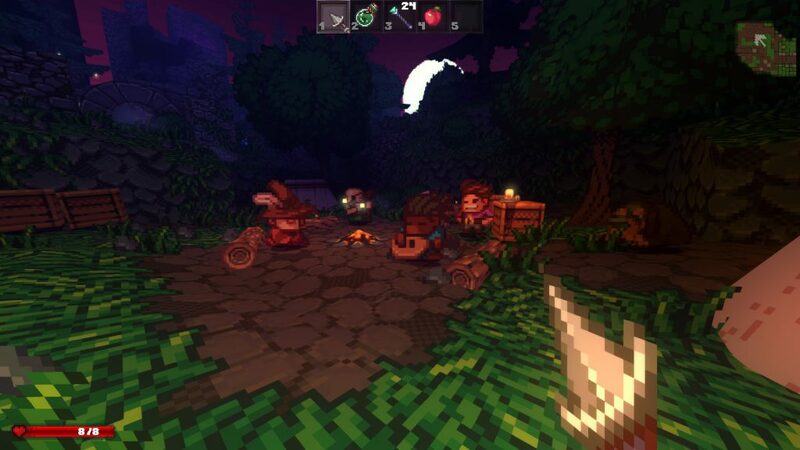 You can use magic from wands that you find, you can use a bow and arrows to shoot from afar or stick with melee. The choice is yours on how you use your character which is usually based on what you find. 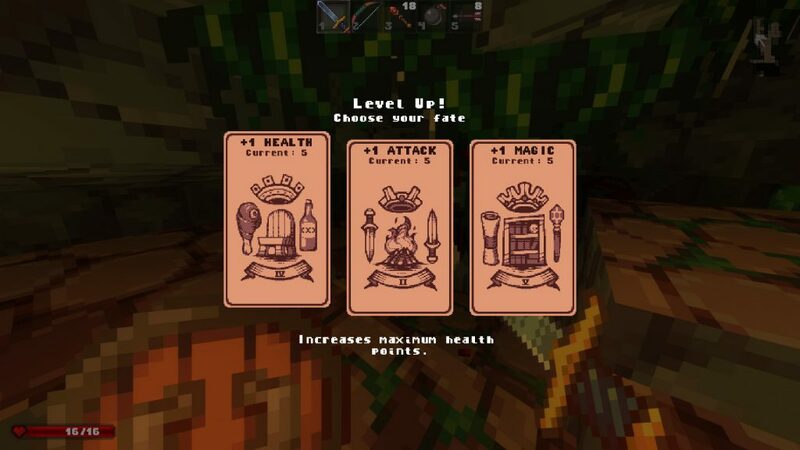 You also level up your character as you defeat enemies, you can put a point towards different stats such as health or speed which will affect your character differently. 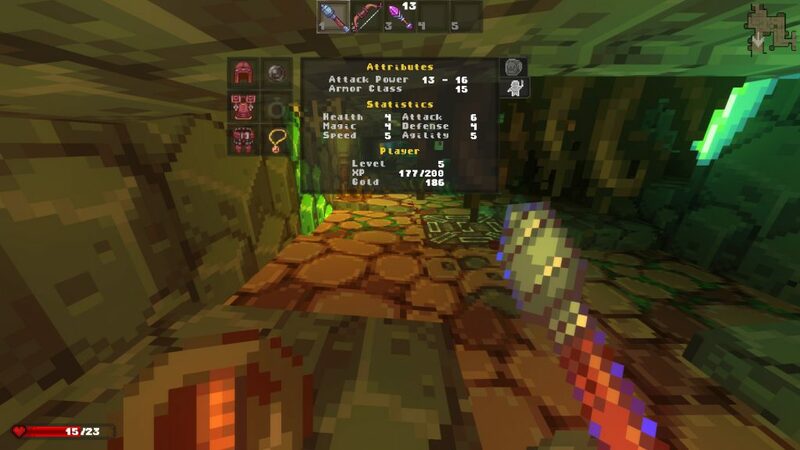 Since the dungeons are randomly generated every time, there’s no way of knowing what’s going to be around the corner or if you’re going to find similar loot to a previous run and trust me, death is inevitable here. It’s not that the game is too hard, but it’s unlikely that you’ll be able to reach the end within your first few crawls. There is quite a bit to learn and discover as you crawl through each time. There isn’t much of any story here, it’s kept pretty simple. Reach the end of the dungeon, grab the Yithidian orb and make it back out alive. Apparently there are a bunch of enemies that spawn back when you grab the orb so making your way back all the way through the dungeons is actually the hard part! I’m excited to experience the end-game content. I’ve had some interesting runs in Delver that I think is worth sharing. Even when you think you’re geared out well and you’ve got some good levels going on… Odds are that you’re still going to get owned. Or even own yourself. My first run through I discovered that not every pot you break has valuables in it, there are also some enemies or live bombs that will surprise you. After figuring out that I could collect these bombs if I picked it up in time before explosion, I started collecting them! There are plenty of different bomb types. I had a nice sword and shield, a bow when necessary and some wands. I was pretty stacked on all stats so killing enemies didn’t take a whole lot, I was doing very well on my first run!… Or so I thought. I pulled out the bomb and clicked to start trying to throw it and I didn’t see that the fuze on the bomb was not longer there so it blew up almost instantly… which lead to my death. Yup, I blew myself up my first crawl. No biggie, I’ll just start again! The dungeon was completely different this time around, I had found different gear and learned how NOT to use bombs. I made it further this time, but was ambushed by a bunch of spiders, zombies and one-eyed creatures all at the same time. I had too much poison and damage going on to where I wasn’t able to eat food fast enough and I hadn’t had the right potions to heal myself. After the first few runs I feel like I have a good grasp on how I’m going to make it to the end but I discover something new and learn what not to do with each run as well… I know I’ll eventually make it to the end but I know that grabbing the orb is going to be a challenge all of its own. I’m enjoying learning more and more about the game with each run. It’s cool not knowing which potions do what until you drink them, it’s awesome discovering new enemies and gear. That’s the thing I love most about randomly generated games, the replay value is always high. 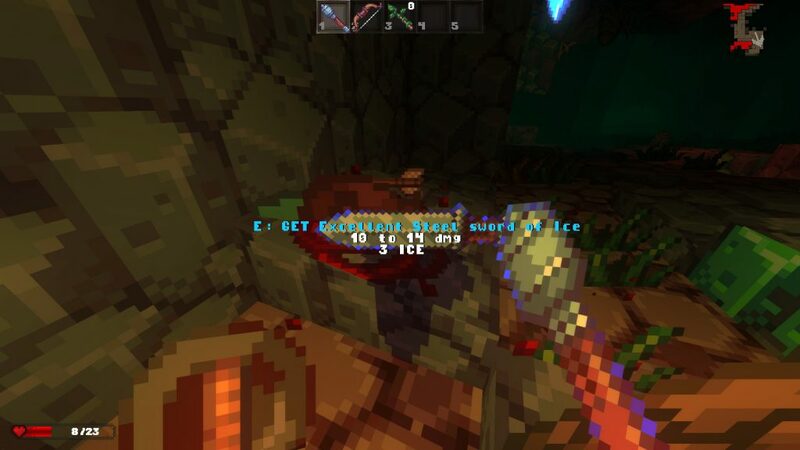 Delver, so far, is executing this well! Seeing that Delver had mod support also helped with me deciding to pick the game up. Mod support game a while before the official 1.0 release and there is a nice amount to add into the game. Mod support is always a plus for me! I have decided that I want to beat the vanilla version of the game before “delving” into the Steam workshop for it but I’ve taken a look around! 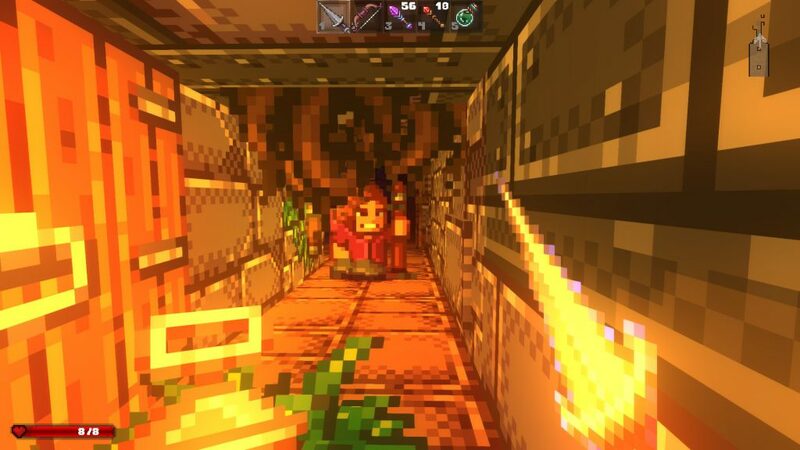 There are different level types to play through, there are mods that add in guns, mods for adding in more variety to the current weapon types and texture packs to change the overall look. I love it when a game adds mod support, especially with a rouge-like. Not only does the game have RNG elements but adding in mods increases the replay value even further. I’m certain I’ll be trying out the gun mods and some of the level mods after completing a dungeon. I have roughly ~4 hours played so far and I can tell that I’m starting to get the hang of it. 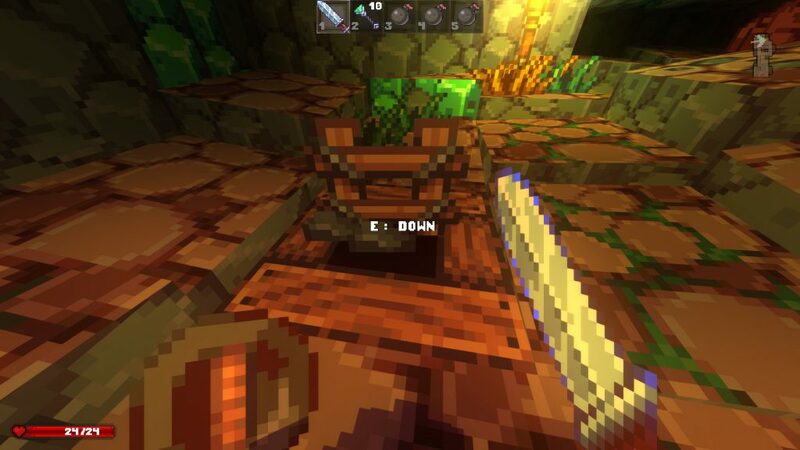 Hopefully the modding community for Delver continues to grow, seeing more and more mods come in would be great! Though the existing ones definitely seem more than enough. 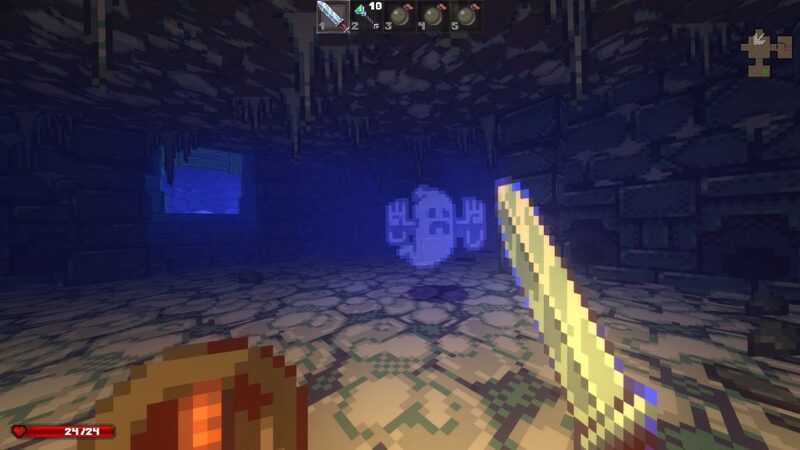 The graphics style of Delver reminds me a lot of classic titles like the first couple of Doom games or Wolfenstein mixed in with some Minecraft elements. It’s classic and blocky at the same time. Animations are basic but enough to be able to tell what’s going on. There are some dungeons that have bugged out ladders or pieces of environment but I suppose that is to be expected with most randomly generated terrain. 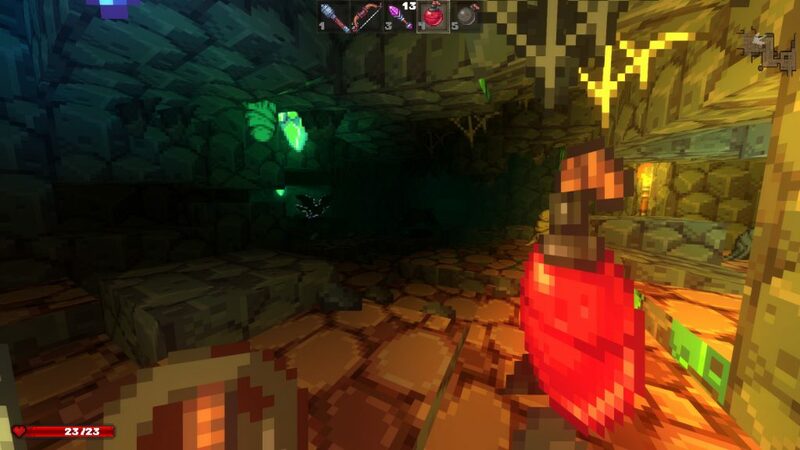 Every crawl has different looking dungeons, the graphics are a style that is enjoyable if you like the classic take on it and the overall rouge-like features are done very well! Is Delver Worth Delving Into? 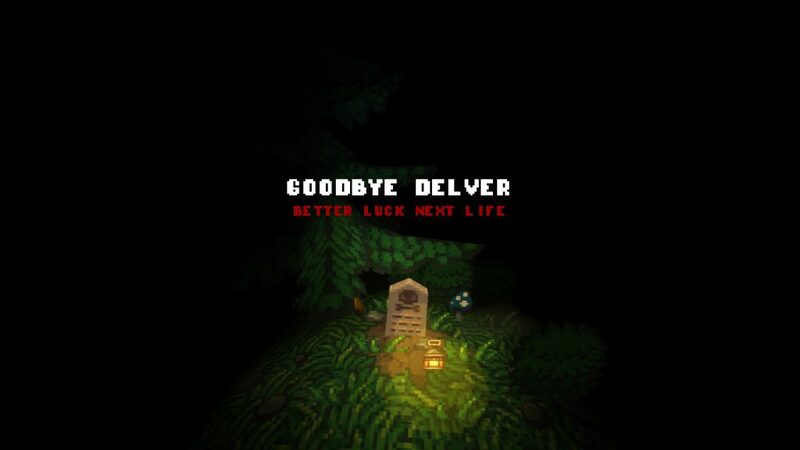 If you’re into dungeon crawlers, rouge-like games, randomly generated levels and the pixelated/classic style of graphics then you at least need to give Delver a try. You’ll know whether or not you’d continue playing it before the 2 hour mark so a refund will be easy to do on Steam. 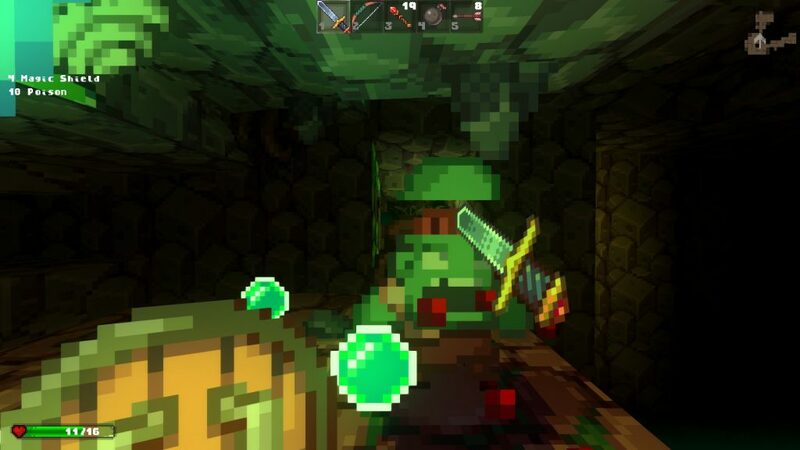 Odds are that if you’re into RPG dungeon crawler games then you’ll be hooked on Delver. It definitely satisfies that rouge-like crawler itch when I need it. For sure give it a shot, there is plenty of time for refunding. You’ll know before 2 hours of gameplay if you’d like to continue delving into these dungeons. 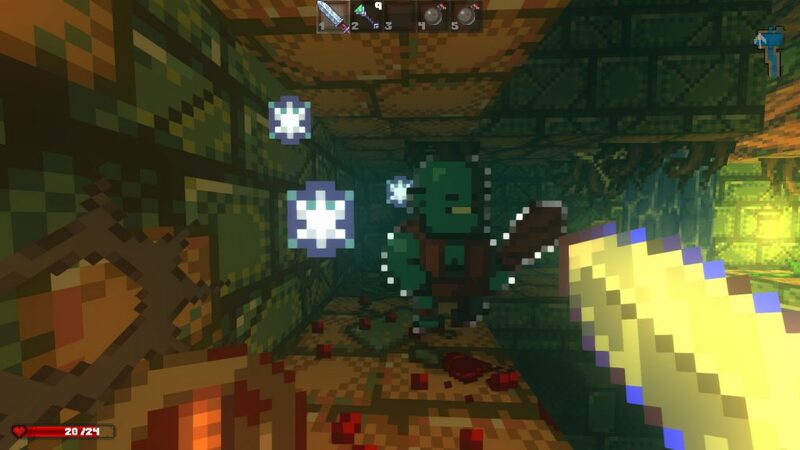 It’s a nice blend of RPG elements, dungeon crawling and RNG. So, have you played Delver before? What do you like most about these dungeon crawler type games? Tagged delver, dungeon crawler, rouge-like, rpg. Bookmark the permalink.